At this year’s Met Gala, guests will sport “lumps and bumps,” towering wigs and avant-garde tailoring. Those dressed in “invisible clothing” will require a wide berth on that stairway. 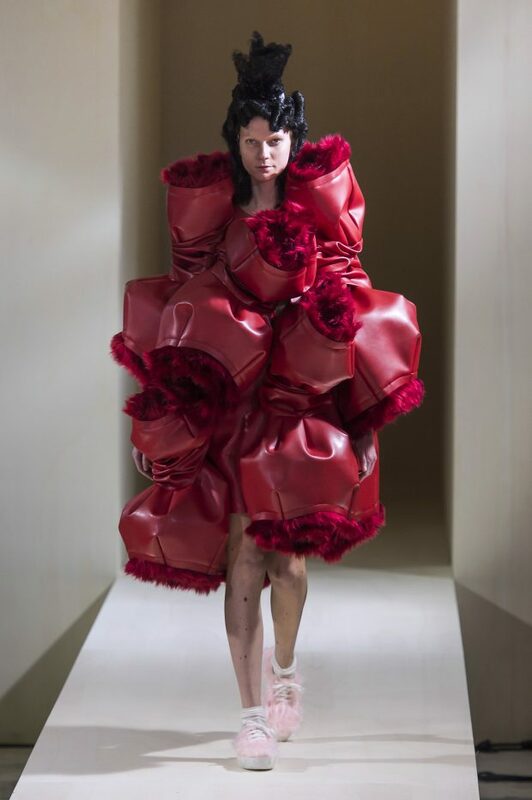 Today, the Metropolitan Museum of Art revealed that its Spring 2017 Costume Institute exhibit and gala will spotlight Comme des Garçons frontwoman Rei Kawakubo. 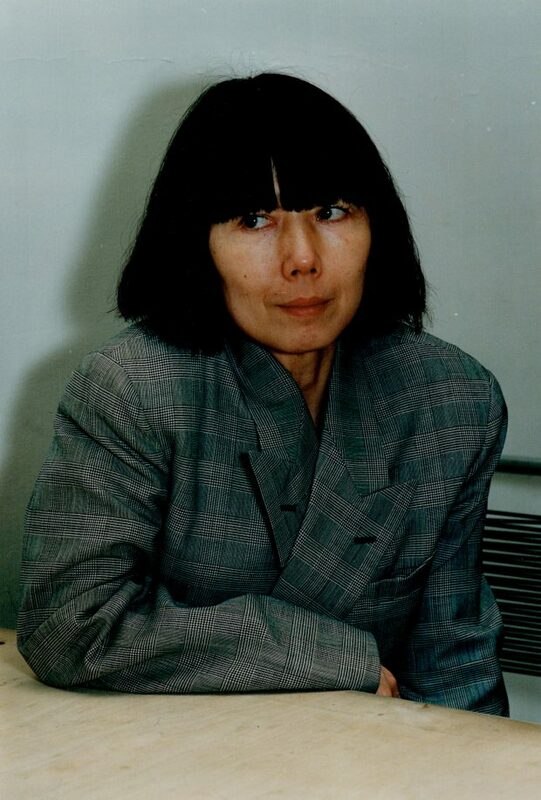 Kawakubo, whose sculptural, fiercely original pieces are the stuff of legend, will be the second living designer to receive such an honor, the first being Yves Saint Laurent in 1983. Fashion’s favorite red carpet will roll out on Monday, May 1. Fittingly, nonconformist style icons Katy Perry and Pharrell Williams (who created a fragrance with CDG back in 2014) will chair the festivities alongside Kawakubo and Anna Wintour. Guests will preview an exhibition of Kawakubo’s work over the last 35-odd years. Because everything relating to Kawakubo breaks with convention, unlike in prior Costume Institute exhibits, the garments will be shown at eye-level and sans plastic barriers. The Cut reports that about 120 womenswear designs will be on display, some of them dating back to 74-year-old Kawakubo’s first-ever Comme runway back in 1981. 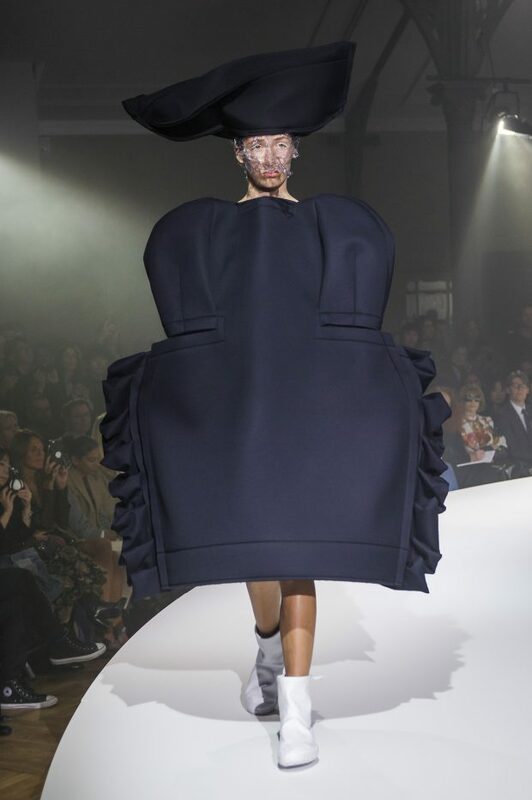 Kawakubo, who’s as partial to ellipses as she is to poly-sleeved garments, offered the following: “I have always pursued a new way of thinking about design…by denying established values, conventions, and what is generally accepted as the norm. And the modes of expression that have always been most important to me are fusion…imbalance…unfinished…elimination… and absence of intent.” Even in her writing, she plays with form. The sure-to-be-swarmed retrospective opens to the general public on Thursday, May 4. Until then, keep Comme and carry on. 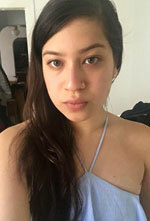 Diversity Champs Barbie Ferreira and Amandla Stenberg Are Among Time’s 30 Most Influential Teens of 2016Taylor Swift Wanted to Keep Her Very #Real Sexual Assault Deposition Private, but Why?